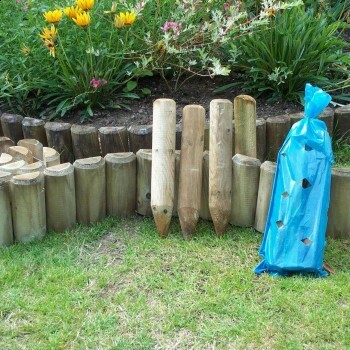 Borders and Palisades are used for reinforcement and protection of newly planted trees. They are very well suited for building and securing slopes, creating cascading terraces of different height levels. 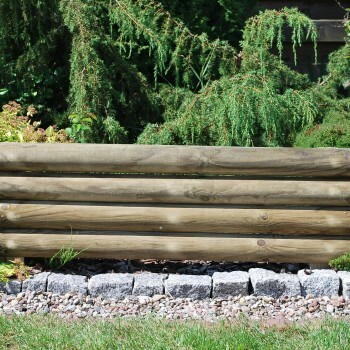 They are also used for isolation and confinement of specific garden spaces and delimitation of paths or sidewalks. They are made in the form of a shaft ended with spike on the one end, and with a decorative finishing on the other end. The pins are mounted in the ground through hammering or digging in. 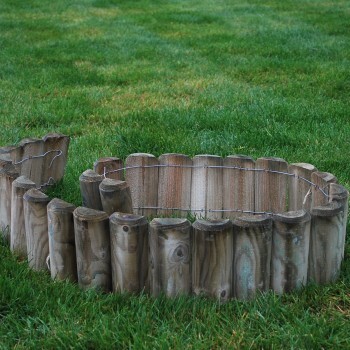 Log Roll, it is a form of low fence, which is made of half-rolls connected by stainless steel wire. 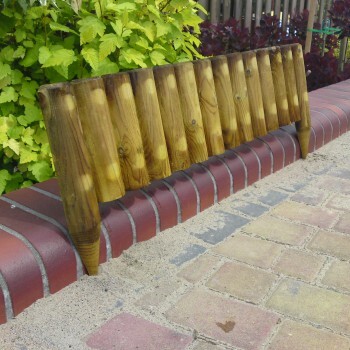 Thanks to the use of vacuum-pressure impregnation, they are resistant to harmful environmental factors (mold, fungi), and at the same time, they are made from organic, natural material – pine wood from the Tuchola Forest.